This post first appeared on the NFCB blog. Free webinar for LPRC and NFCB members. November 25, at 2:00 PM ET with Ann Alquist. Like us, you may be skeptical of buzzwords and weary of spending any more of your time thinking about how these words – “impact measurement”, “effectiveness”, “engagement”, to name just a few – matter in the context of your work. Against your will, you may find your eyes glaze over and ears fill with a faint humming sound when these words are brought up. The problem here is that, at heart, these words do mean something; they can be helpful guideposts that inform decision-making and anchor stations in striving to provide quality public service for their communities. The trick is to develop an understanding of the words that makes them meaningful. In her webinar “Scaling Community Engagement” (live Tuesday, November 25th at 2 PM EST), former Director of Radio Engagement at the NCME Ann Alquist will help us do that. Ann will present examples of community radio stations that are engaging their communities with the result of making their stations more relevant and sustainable. Peak your interest? Registration for the webinar is still open – sign up! 1. What is community engagement? Defined by the National Center for Media Engagement as “Collaboratively discovering, understanding and addressing community needs and aspirations. Engagement: builds ongoing, two-way relationships; involves listening to people; means working with the community to mutually identify solutions; focuses on learning from the community”. 3. Why is community engagement important for community radio? Engaging with the community leads to discovery, new ideas, and strengthened relationships. If an engagement ethos is developed, stations can effectively play the role of “conveners, connectors, and collaborators” (Charles Meyer). Moreover, community engagement can “bridge the gap by connecting us with people who aren’t currently part of our direct constituency. It that knowledge translates to content, community engagement can be a growth strategy” (Mike Arnold). It helps stations stay relevant, provide quality public service, and attract opportunities. What’s not to like? 4. So how does it actually work, what’s the process? This is going to vary depending on your goals and role, but the basic process is simple: 1. Define, 2. Create, 3. Implement, 4. Sustain. Look at the The Engagement Process for details. For more resources, check out PRND’s tools. What does community engagement look like at a community radio station? How do we know it’s making our stations more relevant and sustainable? 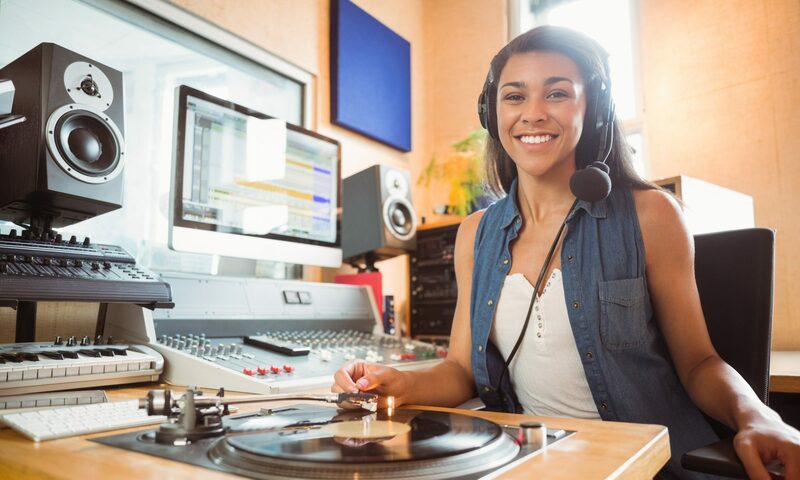 In this webinar, we’ll look at examples of how community radio stations are engaging communities beyond providing media access. Prior to working in Alaska, Ann was the Director of Radio Engagement at the National Center for Media Engagement, where she worked with public radio stations around the country to engage communities more effectively. She is a Young American Fulbright Journalism Fellow and the co-founder of www.tcdailyplanet.net, a participatory journalism website in the Twin Cities. Her professional heart was born at KFAI Fresh Air Community Radio in Minneapolis, where she produced a nightly local newscast with all volunteers. Previous PostPrevious Are You Listening to Your Radioescuchas? Next PostNext Support Latino Public Media!